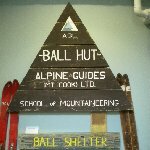 The highlight of my stay in New Zealand must be the alpine guide across the Mount Cook National Park which is named after the highest mountain in New Zealand and offers spectacular glaciers and lakes. I travelled with a couple of friends and the canoe sightseeing tour we did was amazing and the perfect way to explore this park. 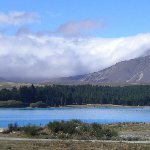 Another special place to visit would be Lake Tekapo which was so beautiful I couldn´t believe my eyes as soon as we spotted the lake with its incredible blue waters. If you´re heading to Lake Tekapo you can´t miss the much photographed Church of the Good Shepherd situated on the lakes' shore. From the windows of this church you will be able to get some amazing panoramic views of the lake. 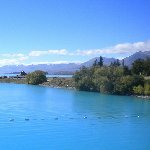 Did you enjoy Mount Cook in New Zealand and have you been on a holiday in Lake Tekapo, New Zealand?